Get ready to celebrate with adorable animals in Countdown to Christmas! 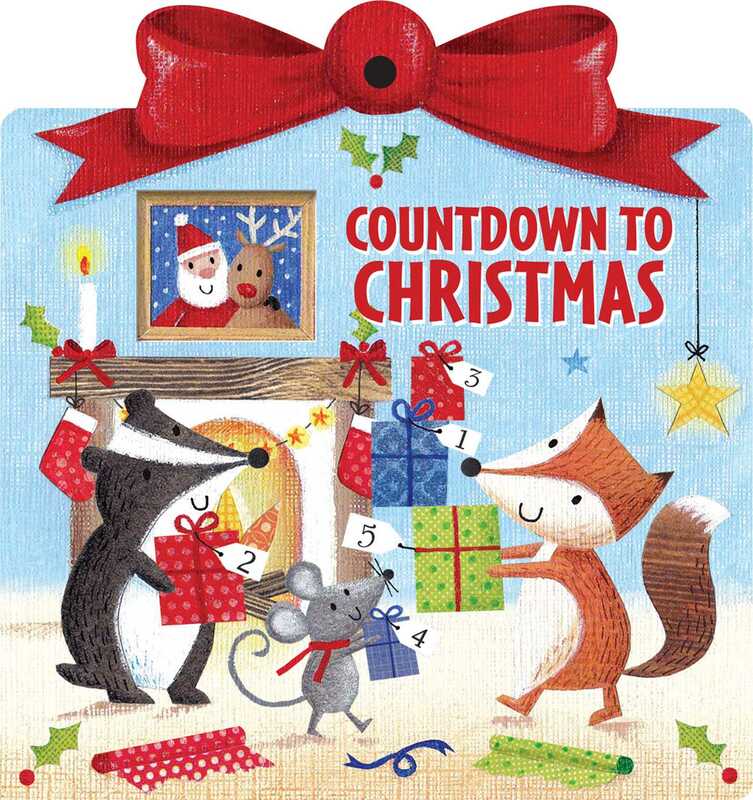 Join adorable animal friends as they open presents to countdown to Christmas. Young children will learn numbers 1 through 5 as each animal receives a present. After reading the simple rhyming text, little ones can hang the book on the Christmas tree! Joanne Cave was born and raised in South Yorkshire, but moved to Northamptonshire in 2002. Today she works from her home studio in a lovely rural village looking out over fields and drinking lots (lots!) of Yorkshire Tea. She‘s always loved drawing and painting, and considered a creative career path from an early age. Jo gained a First Class degree in Illustration in 2001 and had a twelve-year career at a major greeting card publisher in Northamptonshire, where she started as an illustrator and eventually worked her way up to design manager, creating lots of designs for Clintons, Paperchase, and major supermarkets along the way. She loved her job, but becoming a mum for the second time, and a desire to get back to a more hands-on creative role, led her to go freelance in 2015. Joanne works mainly in acrylic and collage, and loves experimenting with new ways to apply paint and create texture. When she‘s not illustrating she likes to explore her local area, visit new cafes for yet more tea (and usually some cake! ), and watch films with her husband. Her goal is to keep very busy with her illustration and to fill the fields around her house with a few horses of her own for her and her daughters to enjoy together.